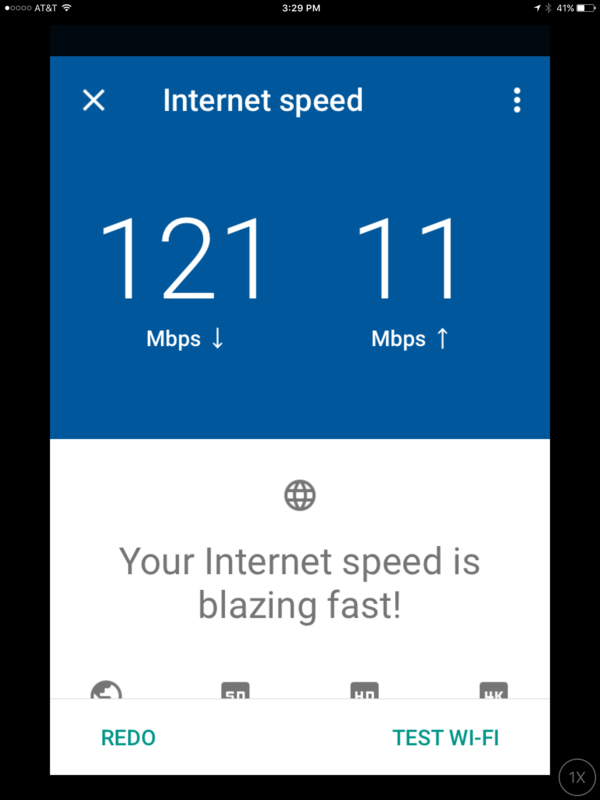 Whatever Google is up to with their OnHub router, a home conflagration or whatever, don’t care because of the utterly blazing speed. This is how blazing…. And, I’m paying only paying Xfinity for 105 down, the most you can get in my area. Sure, the router is a fashion piece, you can dress it up, it has 18 antennas, and automagically maps your traffic. Updates itself too and has a pretty app. Mostly what it does is give me full bars of coverage THROUGHOUT my brick house. I was so amazed, I’m sharing it with you, on a bike blog. The hills are alive with WIFI! At my house, at least. The best part is, because the OnHub didn’t sell well, it’s likely discontinued and replaced with this thing. So, on Amazon, it’s now priced the same as the Asus AC68U at $169.00. The OnHub is a really good deal if you prioritize speed and ease of use, design too. Speed and connectivity became much more of an issue for me after I started shooting high-rez with pro cameras.